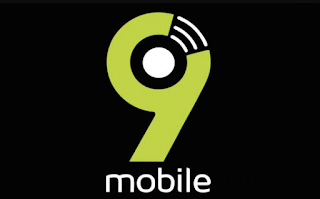 9mobile 4G LTE Data Plans and Codes Febuary 2019. 9mobile 4G LTE Data Plans and Codes… The Etisalat company has been renamed 9mobile and you can enjoy the new data plans available for your phones. 9mobile offers a big varieties of packages. These packages comes alongside with their codes and are listed in this article to enable you dial and subscribe. 1-weekend plan – if you only need mobile data from 11.59 pm on Friday and until 11.59 pm on Sunday and are happy with 1 GB option, call *5995*2# to order this plan, it costs 500 Naira. 365-day plan – if you are happy with getting an annual option of 120 GB of data and willing to pay 110,000 Naira for this service, dial *229*5*3# and enjoy it. Users who are not happy with auto-renewal feature can turn it off by dialig *229*0#. If you are looking for special data plans that allow chatting, watching your favorite films online and staying in social networks, you can get one of the awesome Smartpaks offered by 9mobile (Etisalat). All these Moreblaze options also offer phone calls at 20 kobos per second. These are the main Etisalat 4G LTE data plans and codes to enjoy. Since there are so many USSD numbers to remember, you can just send ‘help’ to 229 and receive more information about the plans or bookmark our page and access the codes on the go to switch to a new 9mobile (Etisalat) package.